I'm currently playing through DKR for the first time in over a decade so this rumor has me super stoked. I'm scared it would feel weird without some of that Rare magic though hopefully they could get whoever composed the original (Kirkhope? David Wise?) to return at least. I do recall one where someone just blatantly said a 4P Mario game, a new DKC game and whatnot where Wii-bound before E3 2009. But he's in DKRDS. He's a Diddy kong character that showed up in Banjo as a cameo. Diddy Kong Racing DS was made by Rare for Nintendo. MS allowed Rare to do it. It's possible they also allowed Rare to include Rare-owned characters. Conker and Banjo might not be the only DKR characters owned by Rare... they just might be the only two MS wouldn't permit to be included in the port. Would be hype if Dillon doesn't drive a car but instead rolls. I'll buy several copies on a monthly basis and name my first son DKR2 if this happens. I'm thinking you're more interested in the more recent leaks. Then as examples there could be Smash 4 + Brawl characters leak, Retro working on DKC right before it was unveiled, Cranky Kong being a playable character in Tropical Freeze leaked early as did the delay, Mario Maker and YouTube for 3DS/Wii. Of course something like this thread's topic would turn correct then that would top them all. It won't though because at a best it's a fan's pipedream. My emotions, please be so. and he got some things wrong, mainly about the politicing between Rare/MS/Nintendo. Tip Tup is a Banjo character, so it's highly unlikely Nintendo owns him. The only characters removed from the DS version were Banjo & Conker. The Gematsu leak for Smash 4 if you want a recent example. I'm gonna have to finally come out and be "that guy" in this thread. Never thought this would be something I could say, but I have a line of communication with Monster, and while I can't confirm 100% it's DKR2, I can confirm, perhaps well outside my comfort level, that they're working on something for the WiiU that is pretty much talked about by everyone involved as the most exciting thing to be done on WiiU yet, and that they are certain it's going to blow people away upon reveal. I genuinely wasn't told details because while I may want to know, I don't trust myself with that much knowledge, so it's likely best they didn't either. All of these insiders and inside info popping up out of nowhere. Man I hope this is true. I much prefer DKR to Mario Kart. Whenever this thread is bumped I get giddy. Please let this happen. Nintendo... please. By far, FAR the best game that Rare ever made. I would be so EXCITEd if they brought this series back. He described himself as an armchair analyst in one of his more recent posts (which, granted, was in January). Man, all of these supposed insiders make me think there is fuel to this, or it's just compounding on hype. I wouldn't be surprised if there was a plan to 'unify' development ala Smash Bros (if this exists); that seems Nintendo's future. To unify their future as a brother/sister ecosystem with their products. By far, FAR the best game that Rare ever made. This is actually true, now that I think about it. It's Rare's OoT. What is HAPPENING? I'm gonna go lock my heart in a safe until all this stuff blows over. I just can't deal with all these rumor updates. Have we really ever had a leak this informative before? Especially one that's so far away? Wow... are these posts mod verified? Not yet. I've been growing more skeptical of this as time passes. Assuming they tried, they probably couldn't. Microsoft probably had them priced too high. Timber and Taj are the most important, but I would've thought Taj would take #1 priority due to him being in Donkey Kong Racing. Agreed. Taj is the second character that comes to mind for me when I think of Diddy Kong Racing. If I were Nintendo, I'd just roll with the whole idea of turning Diddy Kong Racing into a Kart game for obscure and lesser known Nintendo characters. Speaking of and not related to DKR2, I just made a big discovery. How did I NOT catch this before?! Man, that is some Igarashi-era asset reuse. I think the Timber rumor is BS simply because the rumor made no mention of DKR2 and said that he would appear in guest roles in upcoming games, which he hasn't. Plus if Nintendo were willing to invest hard in a sequel/reboot, I don't think they'd cheap out on characters unless MS wanted a ludicrous sum. Yes this was legit, guy on gametrailers forums leaked NSMBWii, DKCR and Metroid Other M way in advance of their reveal. He also leaked details of Skyward Sword way in advance. Definitely one I'll remember. Well IF it's true, he's not in MK8 for the same reason Diddy isn't, and perhaps they didn't see fit for him to be in World Tour. Smash might be the opportunity unless they want to wait until they announce DKR2 so as to not "ruin" the surprise that they now own him. Just a guess. Man are those approved post? Thats a bit specific for me! I always wondered why MS didn't put out a game based on DKR without the Nintendo characters. Couldn't Rare just put a fresh coat of paint on the engine? Seems like leaving money on the table. They were going to; The Fast & The Furriest. It at least featured Conker, Banjo, Tiptup, and T.T. They cancelled it, likely due to the Wiimote like prototype they made for it was canned as well. Ah. Thanks for the info Hero. Blatantly false rumors. It refers to NCL as "NoJ" and treats NOA as its own publisher. He's a generic hat-wearing tiger that has been in exactly one game, which he wasn't even the main character of. I doubt Nintendo was chomping at the bit to get this stud back for some cameos. And if he was to cameo in anything it would surely be either Mario Kart or a Donkey Kong game, and since he has appeared in neither of those series' recent entries it's safe to assume that the poster was just engaging in some wishful thinking. Gah. Now I have to wait 2 years? So... hyped. And I can definitely see that with the Amiibos. He's a generic hat-wearing tiger that has been in exactly one game, which he wasn't even the main character of. 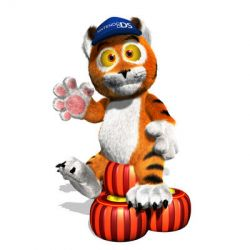 The plot of Diddy Kong Racing was about Timber the Tiger, not Diddy Kong. In fact, Timber was the main character before Diddy Kong was added to the game. Diddy Kong Racing takes place on Timber's Island. Timber the Tiger's parents go on vacation and leave their son in charge of the island they live on, leaving him and his friends to race for fun. Their enjoyment is derailed when an evil intergalactic pig wizard named Wizpig arrives at peaceful Timber's Island and attempts to take over after he conquered his own planet's racetracks. He turns the four island's guardians: Tricky the Triceratops, Bubbler the Octopus, Bluey the Walrus and Smokey the Dragon into his henchmen. The only solution available to the island's inhabitants is to defeat Wizpig in an elaborate series of races that involves cars, hovercrafts, and airplanes. Drumstick the Rooster, the best racer on the island, failed this challenge and was transformed into a frog by Wizpig's black magic. 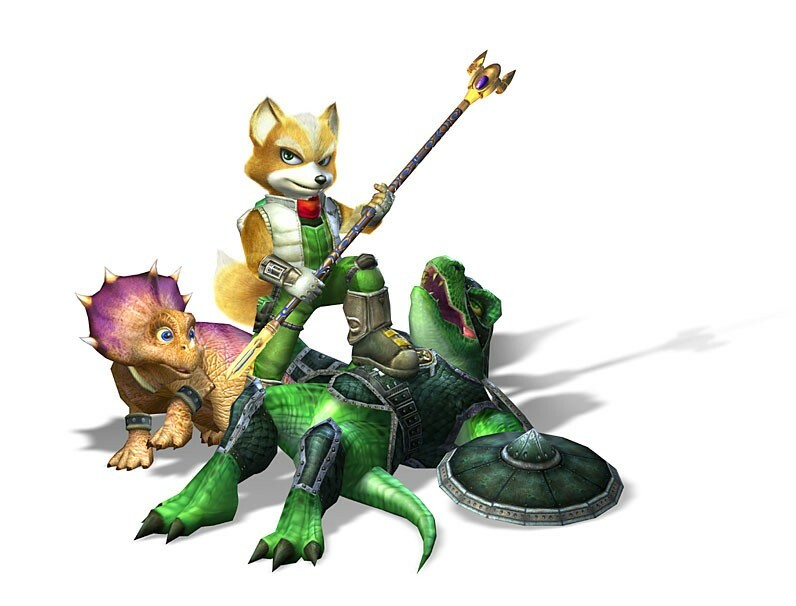 Timber recruits a team of eight racers: Diddy Kong, the first recruit; Conker the Squirrel and Banjo the Bear, recruited by Diddy; Krunch the Kremling, Diddy's enemy who follows after him; and Tiptup the Turtle, T.T. the Stopwatch, Pipsy the Mouse, and Bumper the Badger, inhabitants of Timber's island. They eventually complete all of Wizpig's challenges and confront Wizpig himself to a race and defeat him. Shortly afterwards, Drumstick is turned back into a rooster, and Wizpig leaves for his home planet, Future Fun Land. Fearing that Wizpig would again attempt to invade Timber's Island, the islanders travel to Future Fun Land for a second challenge. When Wizpig loses the second race, the rocket he rides on malfunctions and blasts him to the moon, and peace returns to Timber Island for good. However, that peace may be short lived, as it is shown in a small scene that shows Wizpig's spaceship flying through the sky. Wizpig is then heard laughing, indicating that he may return one day. All of his henchmen are free from his control and with the two Triceratops kids on Tricky's side, they all have fun together with Diddy and all his friends. In an October 2012 interview, Lee Musgrave, who worked on Diddy Kong Racing, said Timber would have been the main character of Pro-AM 64 if Diddy Kong Racing had not been made. Musgrave says, "Yes, there was Pro-Am 64 that had Timber as the main character, but that became Diddy Kong Racing and that was the end of that." When Martin Wakely is asked about a rumored game called "Timber 64", Wakeley responds, "Where the rumour may have started is that an early version of [Diddy Kong Racing], I think it was called RC Pro Am at the time, had Timber as the lead character. I'm sure I've got a badly fitting Nylon polo shirt with the game logo on it somewhere." Hmm. While I still don't think Nintendo needs Timber for a sequel, I guess that makes sense. Just have Timber and Diddy recruit a bunch of eShop characters. ...According to a GameFAQs user called iCarly22. Also, is there any proof that this whole blog post is true aside from it sounding plausible? Because a rumor sounding plausible really is a terrible reason to believe it. This thread reminded me that I've been meaning to pick up Diddy Kong Racing DS. Bought it for approx £8 today, woohoo. 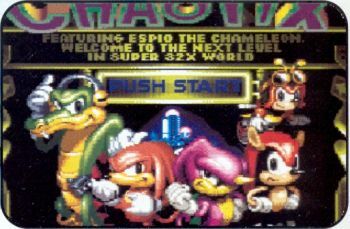 Sounds a bit like a "Chaotix featuring Espio" situation, although Knuckles was already in by that point. They don't look the same, but damn it... not the first or last time Rare reused names, either. I wonder which came first, the Dinosaur Planet Tricky, or the Diddy Kong Racing Tricky. In the game though he's just another racer. The manual's plot synopsis probably matters for jack squat. I really hope if this does happen that Nintendo can get the characters. Aside from 3 characters, the cast was a bunch of nobodies but they all fit together aesthetically and made for a memorable cast. Making an e-Shop crew similar to Sonic & All-Stars Racing wouldn't feel like DKR in the slightest. Making an e-Shop crew similar to Sonic & All-Stars Racing wouldn't feel like DKR in the slightest. It really depends on who they go for. Characters like Dillon and Rusty fit alongside Diddy fairly well. Mallo really doesn't, but I'd be okay with him. They should really push for animals.